Bali is a destination full of interesting, if you have once set foot in the land Bali almost you will not want to leave. 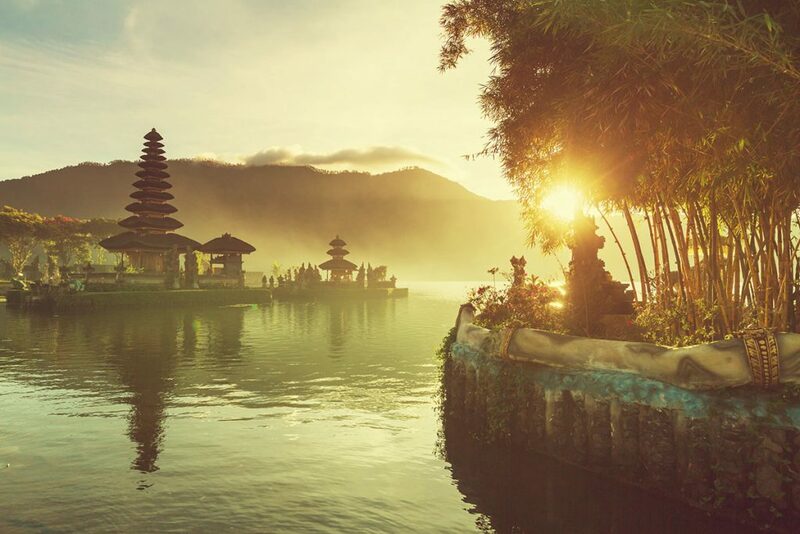 Whether you are at any age, while traveling to Bali you will be visiting the beautiful destinations to enjoy fascinating and attractive cuisine, shop for meaningful souvenirs. 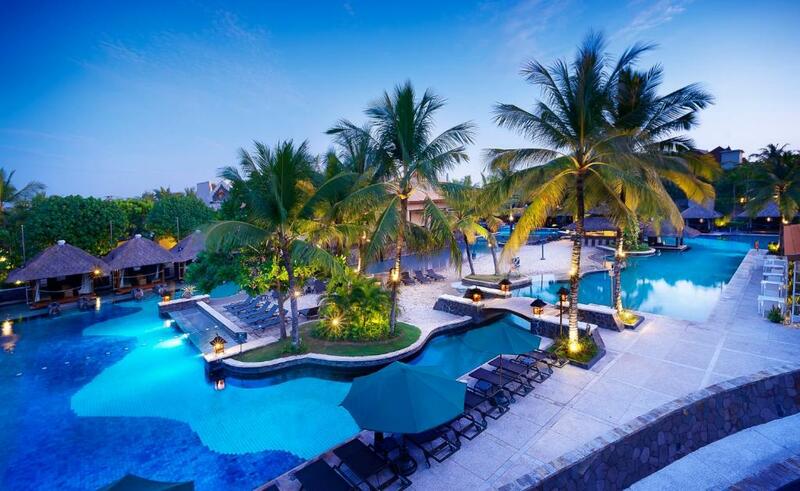 This place has a beautiful natural scenery, many virtual living space, and between the immense blue of mountains and forest such as Pondok Sebatu Villa, Four Points by Sheraton, Seminyak Icon by Karaniya Experience. Here are all the names quite hit and famous in Bali island. Hotels in Bali with the preferential prices, the enthusiasm attentive service from Balinese people who always smile to greet customers. Viewing from the villa, in front of is the pool, far way in the distance is the terraced fields innumerable between the green space. That gives visitors a feeling of complete comfort. In addition, you should try a strong feeling when taking part in the summer game called Bali Swing. The myth swing that anyone coming to Ubud also expects to a beautiful glitter photo here. Fare play about 20 USD per a player, this level is quite expensive but very worth. The feeling when plunge into the nature is truly unforgettable. Besides, there is the giant bird’s nest so you can snap photos for virtual living that is specific characteristics in Bali. Tourists often go to bath water Tirta Empul Temple. The temple was built in 10th century, is one of the most sacred temples in Bali, surrounded by a stream that flow all year round. Water from the stream flows through a bubbling holy water sediment pond and from there flows into the two large rectangular pool through the fountain carved picky. If want to immerse in natural waters, visitors can rent a deposit cabinets and rent an other sarong to down the pool. Sarong borrowed from external port is not wore to down in the water. Balinese people believe that bathing in this temple will help wash, purify themselves, bring health and luck. For tourists, there will be a pleasant experience about the characteristic traditional culture of the people of Indonesia. 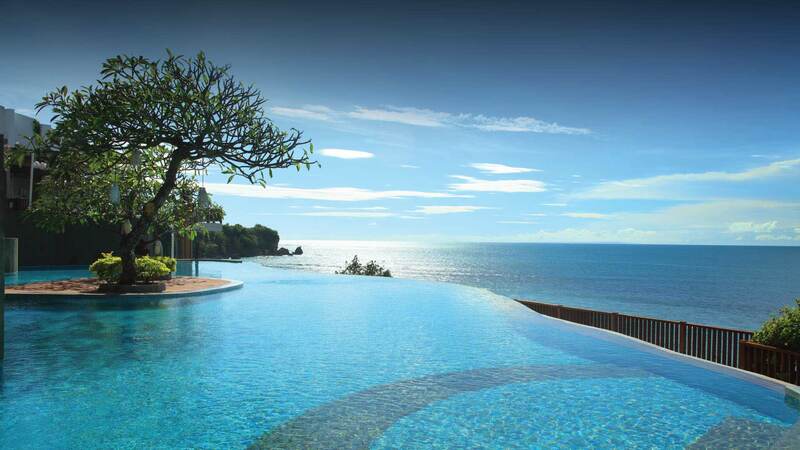 When going to Uluwatu, you will feel the peace nestled within the majestic natural scenery. Carved from black coral rock, the temple located on the tip of 76 meters high cliff, overlooking the Java Sea. Uluwatu was built from the 10th century and is one of the most ancient temples of Bali. Photographing here is very beautiful with blue sea, white waves, equivocal ancient temple on a cliff in the distance. With all of above, Bali is deserved to be a paradise tourism destination.